This is the third of this series of products. 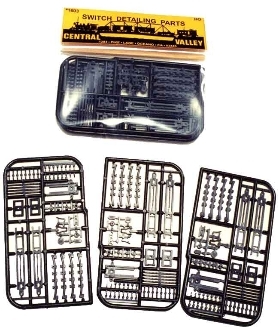 The package includes (3) "sprues" a variety of track modeling materials. 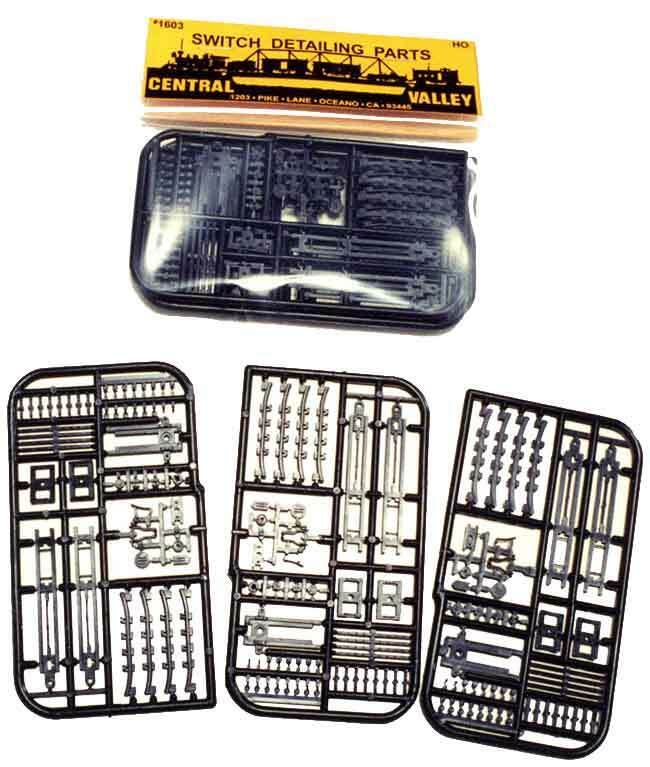 Including famous CVT switch kit parts like the switch stand. Add these turnout detailing parts to your existing yard turn-outs and you will wonder why the Switch-Man left the padlocks off!